The Mumbai Metropolitan Region (MMR) has been among the most sought-after residential areas in the country among home-buyers across the budget spectrum. However, as the main city of Mumbai gets increasingly saturated, home-buyers and investors are exploring their options in the adjoining areas of Mumbai. One such destination in the MMR is Neral. Here’s everything you need to know about Neral, the emerging residential hotspot for affordable housing. A part of the MMR, Neral has located 83 km from Mumbai-South and 42 km from Panvel. The serene town of Neral falls under the Raigad District of Maharashtra, and along with Karjat, the area is also known as Eastern Mumbai District. Neral shares excellent connectivity with Panvel, Mumbai, Thane and Pune. Situated between Mumbai and Pune, Neral is also well-connected to NH4 and Badlapur. The unique hill station of Matheran is just 6 km from the main town. In the last few decades, Neral has witnessed rapid infrastructural development due to which it has the attention of many prospective buyers. Proposed infrastructural projects include the Neral-Dasturi Road, Naka-Matheran Road and the Badlapur-Karjat Road, which will be converted into a four-lane highway. These projects have boosted the real estate development in the area. Neral is home to a large number of reputed schools and colleges, including engineering, medical and pharma institutions. Asian Institute of Communication and Research (AICAR) Business School, Indian Institute of Geomagnetism, Biotech Research Institute, Tata Cancer Medical Institute and Research are located in Karjat and are easily accessible from Neral. Neral is also dotted with retail stores, hospitals and shopping areas. 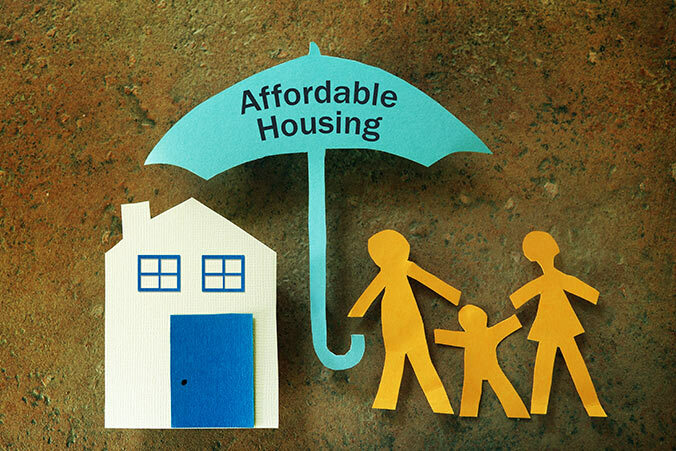 The last year has witnessed a big boost in India’s affordable housing sector, with the government channelling all its efforts to realize the ‘Housing For All by 2022’ mission. Neral offers tranquil surroundings, excellent infrastructure and affordable property prices, because of which it has emerged as the hotspot for affordable housing. The green and serene environment, as well as the proximity to employment hubs, makes Neral one of the most preferred residential hotspots in MMR. Many homebuyers are looking to invest in Neral because they can invest in spacious and luxury projects at comparatively affordable rates, while still being well-connected to Mumbai. Looking to invest in flats ready for possession in Neral? Explore affordable 2 BHK flats at XRBIA Neral, a premium residential project in Neral by XRBIA Developers.